A small audio speaker that is ideal for radio and amplifier projects and is small enough to fit in r.. This is a fairly large, 80x80x24mm fan. The fan has a DC brushless motor, with an operating voltag..
You can use LC Metal detector non-contact metal induction detection module as a metal detecto..
LCD (Liquid Crystal Display) screen is an electronic display module and finds a wide range of applic.. This is a USB2.0 to TTL UART Converter module which is based on CP2102 Bridge by SiLabs. This module..
Electrolytic decoupling capacitors 1000uF / 250V. These capacitors are great transient/surge suppr.. 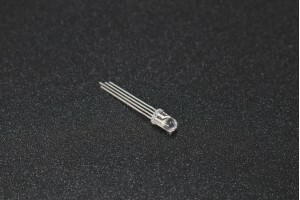 This led array module is used to check all the digital outputs of the target boards like Arduino’s..